I think that Jared would never really love Wanda, but he would try his hardest to find out a way to get Mel back. I mean after all, she was his girlfriend. but Wanda wouldn't really understand what to do because she loves Ian too. 2. i think mel fading away would be inevitable. Gee, thanks! Haha, great minds think alike I guess. I'm going to try and answer my own questions. Try. I think the answer to question one is entirely contingent on the answer to question two (though, I didn't realize it when I asked the questions). IF Melanie doesn't go away, if she's able to somehow hang on, I don't think Wanderer can deny her feelings for Jared. True, SHE the Soul loves Ian, but some of you may know that it's like knowing someone isn't right for you but still wanting to be with them. The power of physical attraction aside, memories can be extremely powerful--can convince you something is true or beautiful or right whether it is or not. I, personally, look back on the first guy I fell in like with and though I know in my mind he was a total as.s, it doesn't change how much I thought I loved him, or the fact that I would really have trouble saying no if he asked me out now. I imagine Mel's memories of Jared affect Wanderer similarly. Wanderer has all of Mel's memories of Jared, all of the emotions and feelings. I wonder if Wanderer's own feelings for Ian could ever overcome those feelings. And I think we should also remember that Jared was starting to have feelings for Wanderer, too. Not necessarily romantic feelings, but I wonder if, because Mel would no longer available without Wanderer, he wouldn't eventually fall for Wanderer? If, however, Mel did disappear, while Mel's memories would still be there, they would fade in time, too. She and Ian probably would get together...eventually...once Wanderer had reconciled her own feelings against Mel's. And Ian is just the kind of guy to wait. So, he'd be there when she was ready. Yeah. That's what I'm thinking, anyway. Ok, ok...so here's just a little bit of a twist to think about. I think that it is a very real possibility that Jared did actually love Wanda at the end. I think that when he said the "lies" to her that he wasn't lying...at all. I think that the reason for the push to get Mel back was because Jared actually felt guilty that he loved Wanda, too. I think that he felt he owed Melanie a fight to get her back, but that he felt so much love for Wanda at the same time...for preserving Mel, or allowing Mel to preserve herself for him and persevering to do all that was right by Mel and virtually everyone she ever came in contact with. But, it was very immeasurably hard, once Jared had a physicial connection with Mel to even think about letting that go...which he could not. I'm tired and don't make sense now...at least I know what I'm trying to say though. revrag wrote: Ok, ok...so here's just a little bit of a twist to think about. I think that it is a very real possibility that Jared did actually love Wanda at the end. I think that when he said the "lies" to her that he wasn't lying...at all. I think that the reason for the push to get Mel back was because Jared actually felt guilty that he loved Wanda, too. I think that he felt he owed Melanie a fight to get her back, but that he felt so much love for Wanda at the same time...for preserving Mel, or allowing Mel to preserve herself for him and persevering to do all that was right by Mel and virtually everyone she ever came in contact with. But, it was very immeasurably hard, once Jared had a physicial connection with Mel to even think about letting that go...which he could not. I see what you are saying but I think he loved her more just as a friend. he realized she was a good person. yes he may even have been physically attracted to her but i think he would always in some way resent her for what happened to mel, especially if mel faded away...he would resent her and i doubt he could ever really love wanda after that. she would be a daily reminder of what he had lost. I agree with Ifeellikerain. I think that of course he was physically attracted to her, since Wanda was in Mel's body. but I don't think he loved Wanda in the way he loved Mel. I think he thought she was a good person and lovely in many ways, but she wasn't his Mel. But still, he will never love anybody else as long as Mel is still around. I know you can't control who you love, but I know SM would never make him do that. That would defeat her purpose of putting so much emphasis on their relationship in the first place, lol. ok, well i know this bit of my ost isn't really to do with the QA thing but has anyone lse listened to beautiful world by coldplay, i swer down the song soo reminda me of the host! 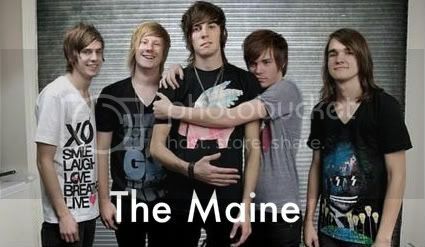 they are like wote for eachother or something! (ok alittle exaggeration) but still they fit together so well! "oh all that i know theres nothing here to run from cause yeah everybody heres got somebodyto lean on" -soo perfect again! 1. so because mel would want wanda t have that connection wih jared but also notwith ia then i think she eithe woul have ben with both of them,but like mel disappearing while wanda was with ian and wanda leaning to dissappear so mel coul be with jared kind of thing of she wouldn't be with either of them. 2. well h=yeah i think mel would have faded away in the end. The more she cam to understand wanda the shoter her time in her body becomes.